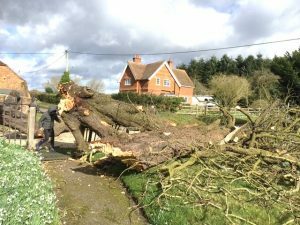 Storm Doris raged across Britain on 23 February 2017 killing 4 people as it passed and doing a huge amount of structural damage. 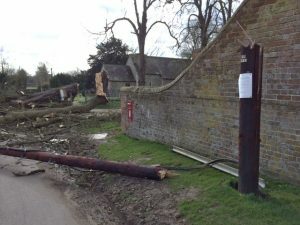 In Frilsham one of the horse chestnut trees alongside the Church was brought crashing down, fortunately no one was injured and no homes damaged but the ancient Church railings were badly damaged. 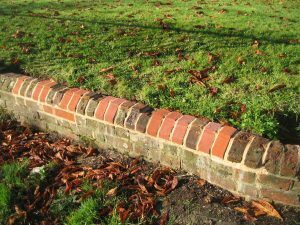 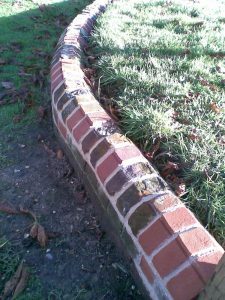 ...and the brick surround was badly damaged. 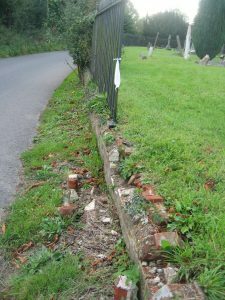 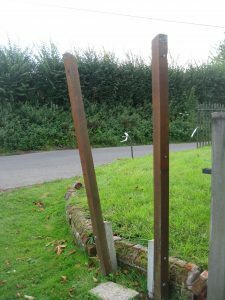 The debris and damaged telegraph pole were quickly cleared but the railings were irreparable. 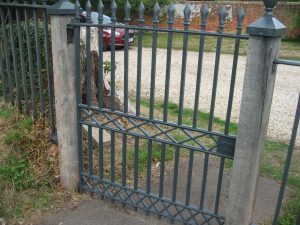 They were originally cast by the Hedges family in Bucklebury Forge in 1824 – almost 200 years ago. 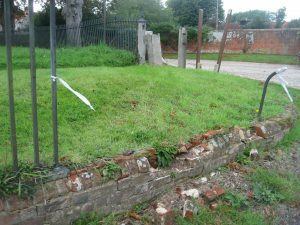 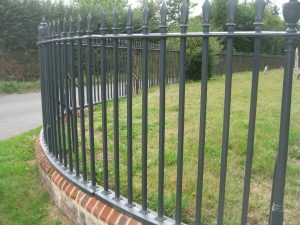 Bucklebury Forge no longer operates and a specialist blacksmith was sought where new railings and a gate could be forged to match the undamaged railings and in keeping with the church's Grade II* listing. 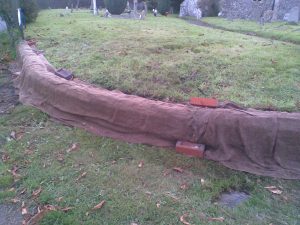 Traditional methods and materials were used – the limestone mortar needed to be kept damp so it was covered with sacking and 'watered' regularly. 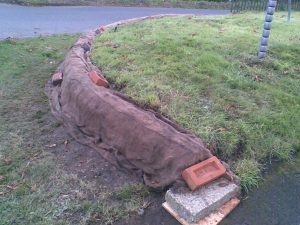 It looked good but had dried too quickly and so was re-done and once again hidden under sacking and watered some more! 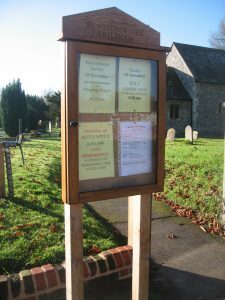 A smart new noticeboard was erected along with new wooden gateposts. 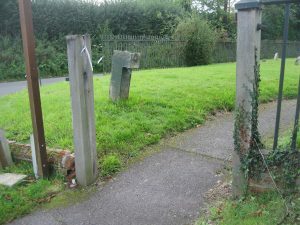 Finally, in August, the new gate and railings were installed. 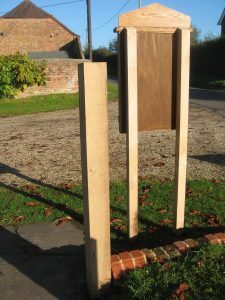 They look fantastic. 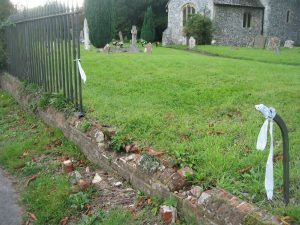 There is more information about St Frideswide Church here.